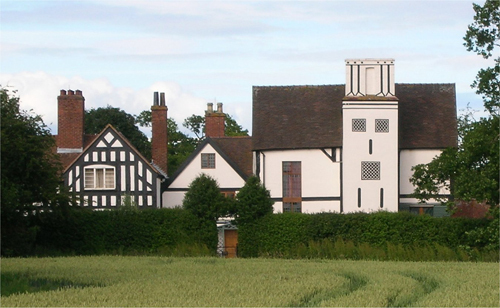 Boscobel House is a Grade II* listed building in the parish of Boscobel in Shropshire. It has been, at various times; a farmhouse, a hunting lodge, and a holiday home; but it is most famous for its role in the escape of Charles II after the Battle of Worcester in 1651. Today it is managed by English Heritage and is open to the public. Boscobel House was created around 1632, when landowner John Giffard of White Ladies Priory converted a timber-framed farmhouse, built some time in the sixteenth century on the lands of White Ladies Priory, into a hunting lodge. The priory and its estate, including the farmhouse site, had been leased from the Crown by William Skeffington of Wolverhampton at the Dissolution of the Monasteries about a century earlier. It passed into the Giffard family because Skeffington left it to his widow, Joan, and she subsequently married Edward Giffard, son of Sir John Giffard (died 1556) of Chillington Hall. The reversion was sold to William Whorwood in 1540, which made him the effective owner, but one of the early lessees must have paid off Whorwood, because it was later passed on to Edward Giffard’s heir, John. John Giffard decided to make the farmhouse more useful by building a substantial extension to the south, including a living room and bedrooms more fitted to use by a gentry family. Giffard called the new hunting lodge Boscobel House. Thomas Blount (writing 1660), the main source for the events, portrays the naming as an after-dinner activity, and attributes it to Sir Basil Brooke, from Madeley, Shropshire, who was one of Giffard’s guests at the housewarming party. The name ‘Boscobel’ is believed to come from the Italian phrase bosco bello meaning “in the midst of fair woods” – in 1632, Boscobel House was surrounded by dense woodlands. By 1651, when Boscobel played host to Charles II, it was owned by John Giffard’s heir, his daughter, Frances Cotton. Frances had married John Cotton, a Huntingdonshire squire, in 1633, but was a widow by this time. She was not resident at the time of the events that made Boscobel House one of the most evocative sites in the English royalist imagination. 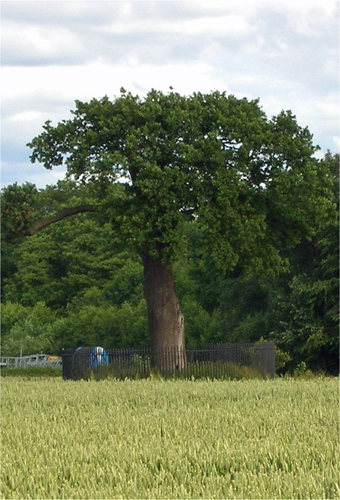 It was here that Charles II hid in a tree to escape discovery by Parliamentary soldiers during his escape after the Battle of Worcester. Initially, Charles was led to White Ladies Priory by Charles Giffard, a cousin of the owner, and his servant Francis Yates, the only man subsequently executed for his part in the escape. There, the Penderel family, tenants and servants of the Giffard family began to play important roles in guiding and caring for him. From White Ladies, Richard Penderel led Charles in an unsuccessful attempt to cross the Severn near Madeley. They were forced to retrace their steps and Charles took refuge at Boscobel, where he was met by Colonel William Careless, whose brother rented land from the Giffards at Broom Hall, Brewood. Careless and the King spent all day hiding in a nearby oak tree (which became known as The Royal Oak), from where he could see the patrols searching for him. 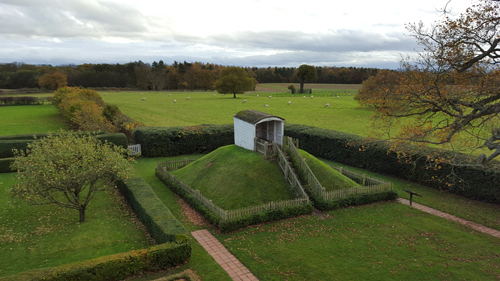 Later Charles spent the night hiding in one of Boscobel’s Priest holes. He was moved from Boscobel to Moseley Old Hall, another Catholic redoubt near Wolverhampton, and ultimately escaped the region posing as the servant of Jane Lane of Bentley, whose family were also landowners at Broom Hall and at the Hyde in Brewood. The Lanes, although friends and business partners of the Giffards, were not Recusants but of Puritan sympathies and Jane’s brother, Colonel John Lane, had taken Parliament’s side in fighting around Wolverhampton during the Civil War. Frances Cotton, née Giffard, died shortly after these events, and both White Ladies and Boscobel passed via her daughter, Jane Cotton, who had married Basil Fitzherbert in 1648, to the Fitzherbert family of Norbury Hall, Derbyshire. The Fitzherberts were major landowners and let Boscobel as a farm to a succession of tenants, including several members of the Penderel family. Boscobel featured prominently in the Popish Plot: the informer Stephen Dugdale accused the guests who witnessed the Jesuit John Gavan taking his final vows there in 1678 of plotting treason, and several of them, including Gavan himself, were executed or imprisoned. The estate and Boscobel were sold to Walter Evans, a Derbyshire industrialist, in 1812, although the Fitzherbert family retained the White Ladies Priory site. It was the Evans family who restored the house and gardens, often in fanciful ways, and nourished the legend of Charles II. A substantial farm building was appended to the northern side of the house in the nineteenth century, giving the present house three distinct wings. It was sold to Orlando Bridgeman, 5th Earl of Bradford in 1918, who placed both it and the tree in the hands of the Ministry of Works in 1954. It passed, via the Department of the Environment to English Heritage in 1984. The three stages of building are readily apparent to the modern visitor. The sixteenth century farm is clearly central and is easily distinguished from the nineteenth century farm which adjoins it at right angles. 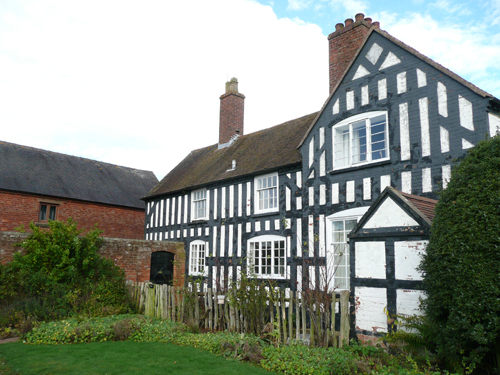 The latter is brick-built but painted black and white to simulate timber framing. The main house, built by John Giffard around 1632, is mainly hidden behind the earlier and later structures on first approach. It is timber-framed, part brick, but covered in stucco, which was applied in the eighteenth century to cover up faults in the structure and materials. Its east and west ends are marked respectively by the bowed structure, probably originally housing the staircase, and the chimney stack. The western end of the north range is now separated off to provide the entrance hall and stairs for the main house, a change apparently made by the Evans family in the nineteenth century. The ground floor of John Giffard’s development is occupied largely by the Parlour, much-altered but containing a good deal of Jacobean panelling. The Victorian fireplace is surmounted by three black marble panels, each engraved to illustrate aspects of Charles’ escape – two of them designed by a daughter of Walter Evans. 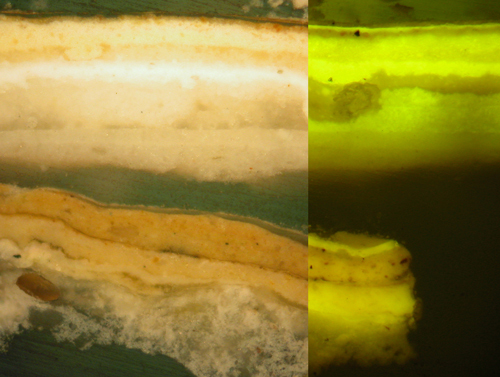 I was asked to carry out an analysis of the plasterwork in the Parlour. Taken almost verbatim from Wikipedia.